The Congress will be organized under seven thematic areas of rangeland and grassland research and development with a better balance between the people/social/policy and more traditional topics. The congress will cover 30 sessions each dealing with a particular aspect of grasslands/rangelands as listed below. 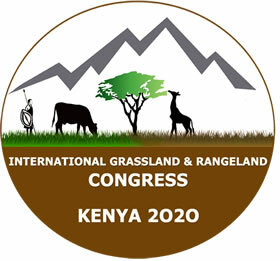 The themes are 1) Rangeland/grassland ecology, 2) Forage production and utilization, 3) Livestock production systems 4) Wildlife, tourism and multi-facets of rangelands/grasslands, 5) Drought management and climate change rangelands/grasslands 6) Pastoralism, social, gender and policy issues and 7) Capacity, institutions and innovations for sustainable development in rangelands/grasslands. Social justice, gender and equity issues in rangelands/grasslands. Livelihood diversification opportunities for pastoralists (crops, hand crafts, fishing, beekeeping, bio-fuels, silk, herbs, spices, wild fruit etc. ).